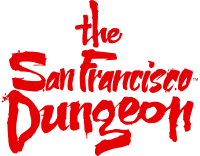 Can I take photographs at the San Francisco Dungeon? Yes, there are official Dungeon photographs that will be available for sale. If you have any queries about photographs you purchased at The San Francisco Dungeon, or if you're experiencing technical difficulties viewing the pictures after entering your code and clicking the button, please contact the help@nxtcapture.com.